This is the third cognitive bias discussed in our newsletter, and this is one we see all the time, as financial advisors. In short, it’s our tendency to think that what has happened recently is what will happen in the future. We think that an investment that has gone up/down is likely to continue to go up/down; that a team that has done well will continue to do well; etc. This is, in my opinion, one of the more potentially damaging biases. It can lead us to sell a security that has declined because we think it will go to zero, and it can lead us to buy a security because we think it’s going way up. 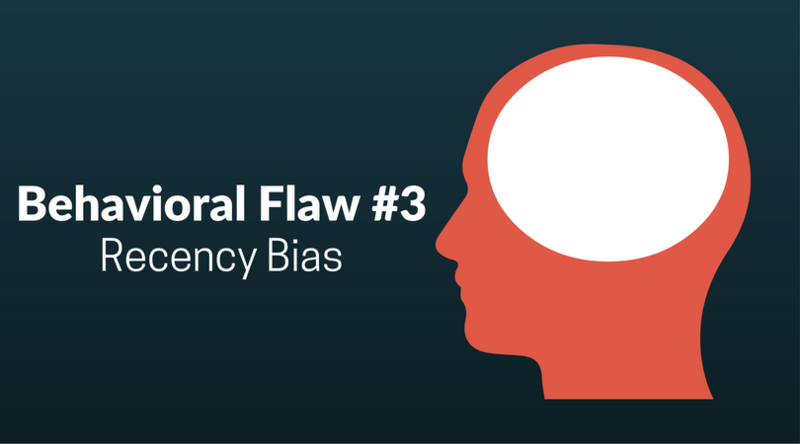 Here are three steps to take to combat this bias. Try to objectively access the odds of each outcome. The third one, above, is especially important, and it leads to another bias, the confirmation bias. That will be the bias reviewed in the next quarter’s newsletter.